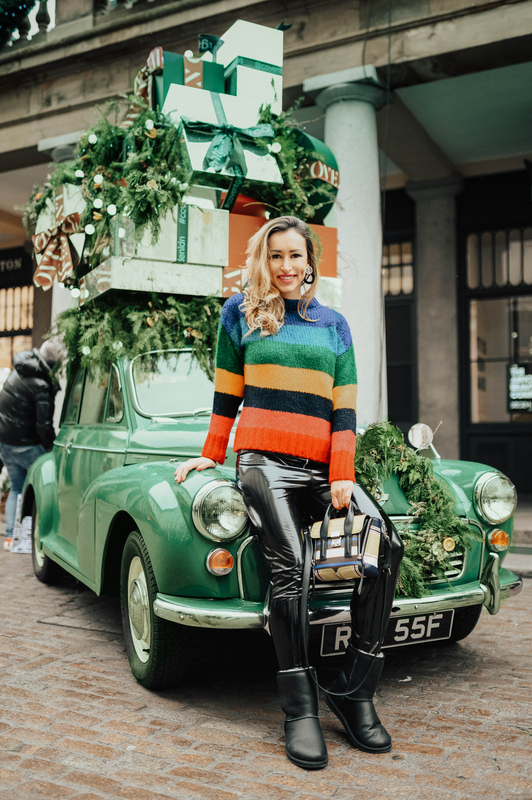 For today´s blog post I have decided to create something more festive, so I went around the most beautifully decorated areas of London wearing my latest outfits! I have lived in London for more than 6 years and for me it is the best-decorated city in the world! Not only that the decoration is absolutely amazing, but also it gets improved each year. What are the best decorated areas of London? 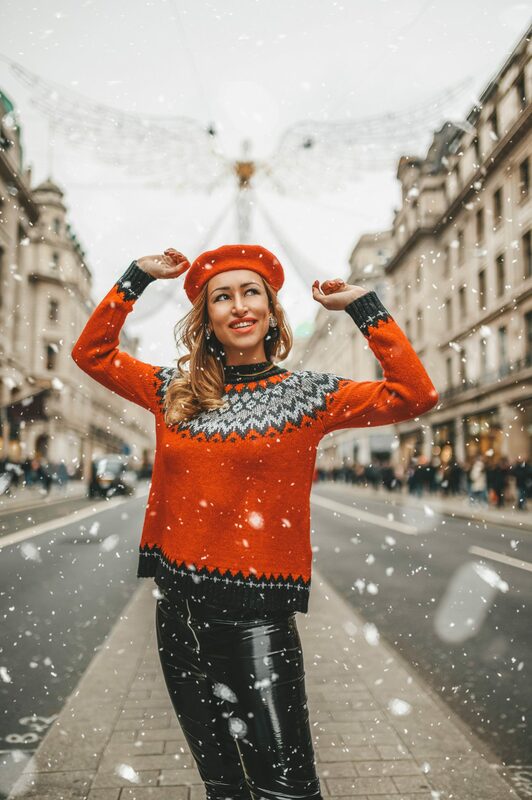 There are many, but the places which you have to visit for sure are: Covent Garden, Carnaby Street, Regent Street, Oxford Street, the windows of Selfridges and Harrods, Davies Street, and of course last, but not least Hyfde Park and Winter Wanderland. 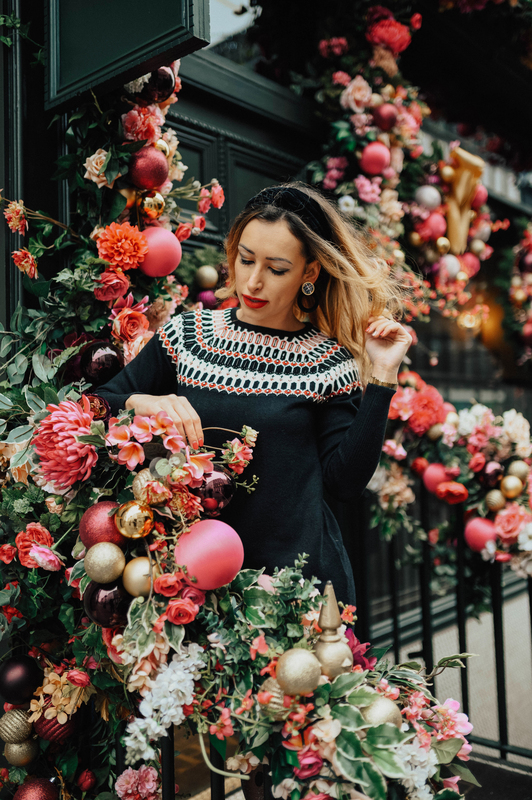 One of the best things to visit in London over the Christmas period, apart from the many spots with amazing decoration is indeed Winter Wanderland. 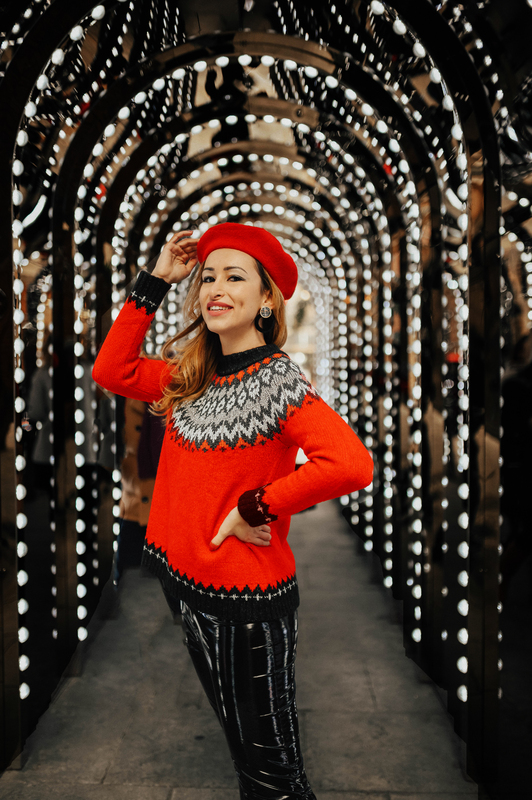 It is one of the biggest, and most well-attended Christmas events in the world, featuring several festive markets, over 100 rides and attractions from across Europe, a Giant Wheel, numerous live shows, including a circus, ice show, and live music, as well as numerous bars and restaurants. It is typically held from mid-November to early January each year. Since its launch in 2007, Winter Wonderland has attracted more than 14 million visitors. Ideally you want to go there in the late afternoon/early evening when the lights are on! It is a magical place to be and the absolutely perfect spot for instagram pics! There are many things to do from rides to pubs with live music, so you can easily spend a few hours there. There is often a que to enter, so keep that in mind when you plan you visit as you will need to spend some time queing. 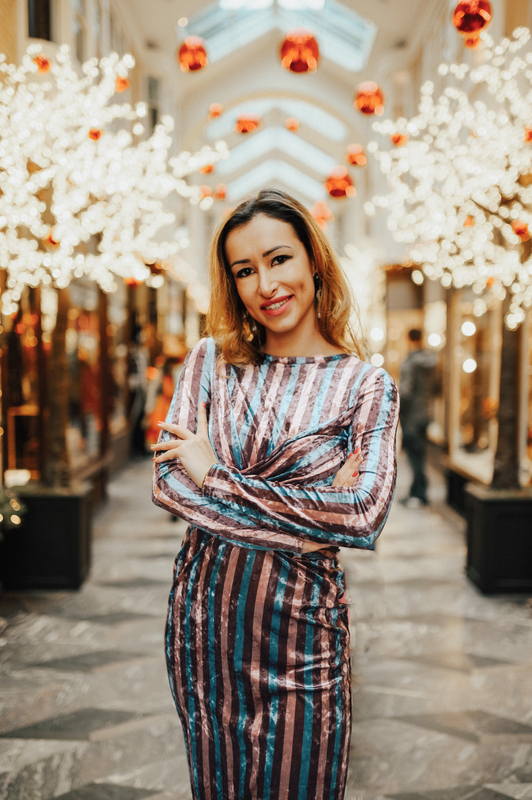 Another place to check out this Christmas is Annabel´s Mayfair! It is a members club which this year had decided to decorate its entrance as a massive Christmas tree! You can see pics below, its absolutely stunning! These shots are incredible! The London decoration is magical!